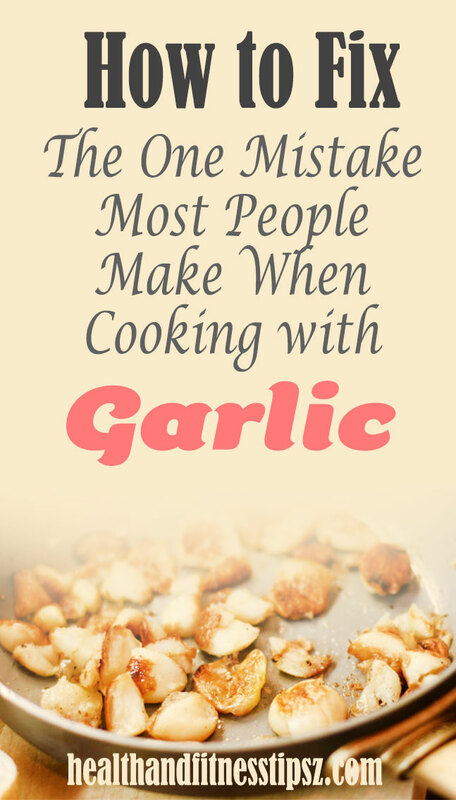 This article will help you in not making the same mistake many people do while using garlic in their cooking. Garlic is not just an ordinary food – it is a legend among its fellow vegetables. You probably weren’t familiar with the fact that garlic was firstly found in the pyramids of Egypt and mentioned in the Bible. Western medicine’s father, Hippocrates, prescribed garlic very often. This amazing vegetable was given to Olympic athletes (in ancient Greece) in order to improve their performances. Today’s researchers have confirmed what ancient herbalists and healers claimed – garlic is a great weapon for treating many types of diseases. Dr. Mirelman and C. Ankri confirmed that garlic’s compound, called alliicn, is responsible for garlic’s antiviral, anti-parasitic and anti-microbial properties. Garlic can also fight some forms of drug-resistant Escherichia coli, and has a potential in fighting some superbugs resistant to antibiotics. A powerful compound, called alliin, and the enzyme called alliinae, are not actually in the garlic itself but they are in the garlic’s clove’s cells. They are naturally separated , but when combined together, they form the allicin. So, when cooking at home, make sure you get the allicin by ripping the garlic’s membrane that separates alliin and alliinae. But, as it turns out, allicin’s health benefits can be decreased due to too much heat. A 2001 study by J.A. Milner and K. Song showed that boiling, heating or microwaving crushed garlic will destroy all of the alliinase enzyme’s activity. However, many meals call for previously prepared garlic rather than raw. Many scientists suggest dicing or chopping the garlic and then letting it stand for 10 minutes in order to let the alliinase do its work. The garlic will do its work best by forming as much allicin as possible heat neutralizes it. So, next time you make garlic-included meal, make sure you first deal with the garlic. By the time garlic is ready to use, your other ingredients will be ready for cooking.